I get asked quite a few questions about Lyme disease and my symptoms. Therefore, I wanted to post some common questions that I answer on a daily basis. These questions you may find very helpful in deciding whether you may or may not have Lyme disease or have a reason to get tested for Lyme. What is Lyme disease ? Lyme disease has a bacterial infection and it is contracted usually from a tick bite however studies of shown that other insects like mosquitoes fleas are also carriers of this bacteria called Borrelia or B-Burgdorferi. Lyme is also not just transmitted by a tick bite. Ticks are the source, but spiders, fleas, mosquitoes and even human to human contact plays a role. Lyme is not a virus and Lyme is not an auto-immune disease. Lyme mimics others diseases like Multiple sclerosis, Lypus, Chronic fatigue syndrome, Rheumatoid arthritis, Epstein barr virus, Fibromyalgia, Parkinson’s and Alzheimer’s. In fact, I was diagnosed with all but 2 of those conditions prior to a Lyme diagnosis. 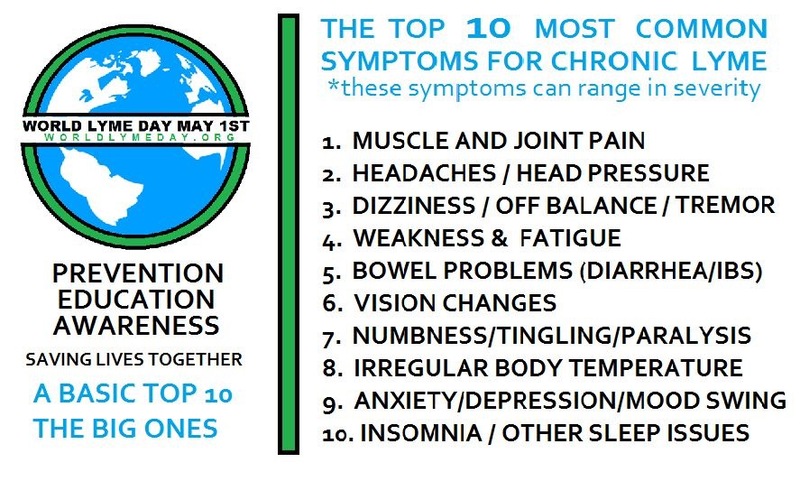 What were your symptoms? I began having symptoms as far back as when I was a child however, my most acute symptoms started in my late 20’s early 30’s. My symptoms ranged from migraine headaches, IBS and stomach problems, dizziness, extreme fatigue, muscle aches and pains, teeth pain, TMJ Jaw pain, fatigue, organ pain, gall bladder problems, memory issues, random pains and flu like symptoms off and on without having a stuffy nose. Who diagnosed you finally with Lyme disease ? I finally approached my Doctor who is a holistic doctor after doing many many tests and asked to do a Lyme test. I saw a pop star named Avril Lavigne on the Today show and I thought to myself , “Im just like her!” We took a test through IGENEX Labs. It took 3 weeks to get the results. I took the Western BLOT test. The cost was about $110 for JUST the basic Lyme test. How do I get tested for Lyme disease? It’s very important to note that Lyme disease test are not all 100% accurate! In fact, most test come back as a false reading and leave patients still sick after years of false diagnoses. I suggest doing a test through either two reputable companies. IGENEX labs or GLobal Lyme Diagnostics. Both I have had great experiences with. However, Lyme is so complex. REMEMBER! 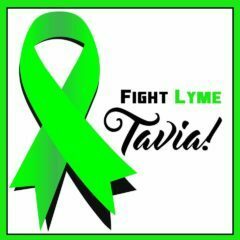 Just because your test is NEGATIVE does NOT mean you DON’T have LYME. You must see a doctor and have a clinical diagnosis matched with symptoms. I suggest seeking a Lyme Doctor that is a Naturopath because they can do muscle testing. Is there a cure for Lyme? This is a tough question to answer because everybody’s level of Lyme disease is at a different level and everybody’s body is different and how they respond . I know people that claim they are cured from lyme which means that they have no symptoms present, and they feel great! That is fantastic! But I have doctors that believe that you can only put Lyme into remission. The bacteria is virtually impossible to kill off as it can spread into your organs,bones and soft tissue. Also the longer you have Lyme and go misdiagnosed, the harder it is to kill off and put into remission! That is why getting tested the minute you show any signs or symptoms is crucial. What is the standard treatment for Lyme disease? Standard treatment for Lyme disease is antibiotic treatment for three weeks after a person is infected. Also if a bulls eye rash is present. If infection has persisted for a long time, chronic Lyme poses a more difficult treatment plan and antibiotics alone will not eradicate Lyme. What do you do for your Lyme disease treatment ? I am currently under the care of a naturopathic doctor in Seattle, Washington. He is a Lyme literate doctor and specializes in chronic illness and detoxification. I also have a MD that specializes in Lyme as well. I do Combo of traditional and nontraditional therapies .IT is imperative that Lyme patients seek the care of a doctor that knows the ins and outs of Lyme disease. Lyme is very complex and it can take many months to years to put Lyme into remission or eradicate it.